One breast cancer survivor calls it her "lifeline" -- the connection forged with a fellow patient through a special program at a hospital in the Bronx. The Bronx Oncology Living Daily, or BOLD program, at Montefiore Medical Center-Einstein College of Medicine, pairs up women who have been through the difficult process of chemo and radiation with those undergoing treatment. Participants say having a "BOLD buddy" offers a level of support and understanding that outsiders just can't match. "Sometimes you just need somebody to just communicate with you and say, hold your hand, 'It's ok,' and talk to you on the phone," Dolores Nelson, a breast cancer survivor and BOLD participant, told CBS News. "Just say, 'I'll just listen,' and be there for them and just guide them through it." Sonia Chevannes, 58, was diagnosed in 2012 with stage two breast cancer. A single mother with two teenage sons, she had to go through treatment alone while continuing to work to support her family. Now she devotes her Thursdays to being a BOLD volunteer. Chevannes became a BOLD buddy to Jean Williams, a 40-year-old single mother of three children who was diagnosed with stage one breast cancer. Williams, who worked full time through her cancer treatment, had a difficult time with chemo and radiation and struggled to pay her rent each month. In her darkest hours, Williams knew she could call Chevannes for support. "Just to know that you could call somebody and tell them 'Ok, I'm going through this right now,' and they know what you're going through because they've already been there. They can help you go through anything." 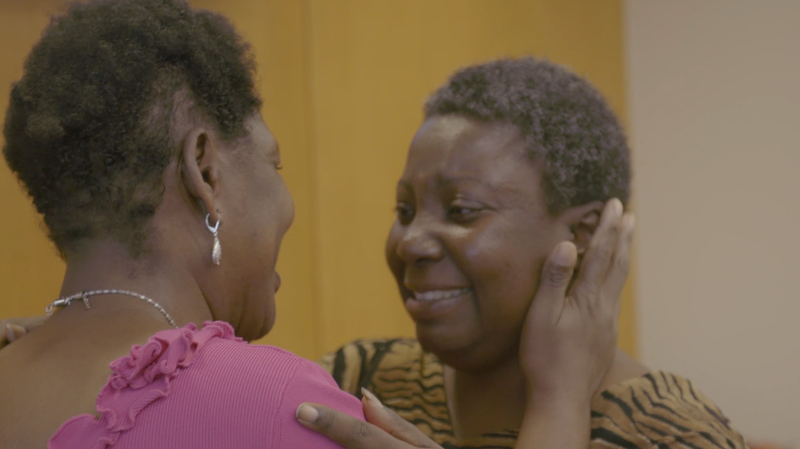 When CBS News met them last week, they had just had an emotional reunion after Williams' recent treatment for heart complications resulting from chemo. Through sharing their strength and tears, the two women have developed a rock solid friendship that helps sustain them both. "This is not just my buddy, this is my lifeline," Chevannes says. The BOLD program began in 2008 and also provides free counseling and wellness workshops to over 300 breast cancer patients and family members yearly. The goal is to help breast cancer patients find connection, maintain hope, and to enhance care for the mind, body and spirit. Alyson Moadel, Ph.D., is director of Montefiore-Einstein Psychosocial Oncology Program and creator of the BOLD program. She lost her own mother to breast cancer when she was very young. She calls the Psychosocial Oncology Program a "labor of love" and a way for her to pay tribute to her mother while supporting others who are facing the challenge of cancer. Moadel says of the women in the BOLD program, "Once they started meeting other women like themselves who were also undergoing cancer treatment... they realized we're all in this together. It's not just about surviving; a lot of them grow. It's about accepting themselves whether they have a breast or not, whether they have hair or not." The mostly volunteer-run BOLD program began with yoga and a crochet class and has expanded to include reiki healing, dance, movement therapy and drum circles, as well as the BOLD buddy program. Moadel says she has seen improvements in patients' physical functioning, emotional health, spiritual wellbeing, and social connections.